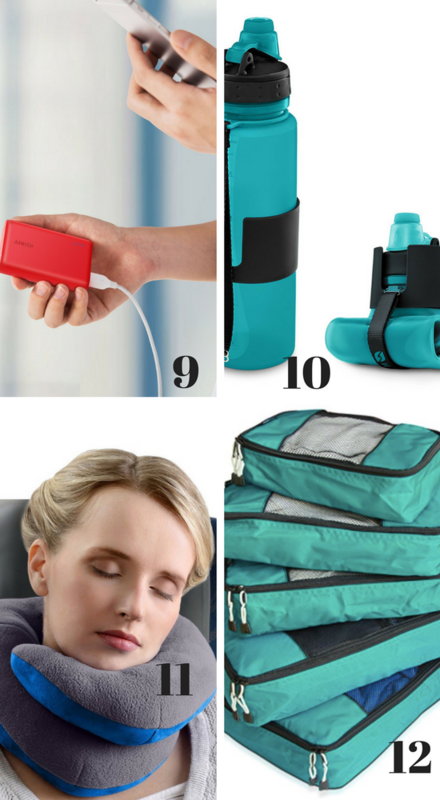 These travel essentials will make sure you have an enjoyable and relaxing trip. Cause isn’t that what a vacation is all about? Once you get where you’re going, it’s time to RELAX! That’s why we also found some great packing hacks that will make packing a breeze as well as help keep things organized. Disclaimer: This post contains affiliate links, to learn about them click here. 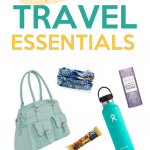 Trust me, you will definitely find some travel essentials, so let’s get started! 1. DSLR & Laptop Backpack – Check those reviews! 5. Anti-Theft Cross-Body Bag – So comforting to know your stuff is safe while traveling! 9. Portable Phone Charger – Over 7,000 AMAZING Reviews! 12. Packing Cubes – Makes for easy finding since everything has a place. 15. 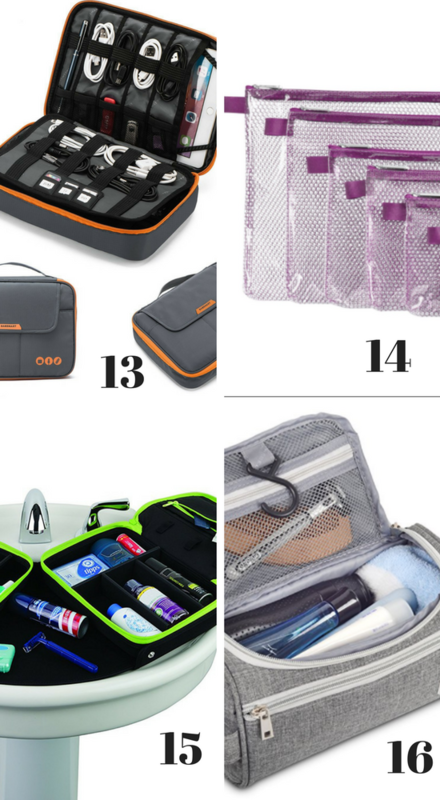 Counter/Sink Toiletries Kit – This is so smart! 21. Luggage – Lots of color options! 22. Luggage Scale – Never worry about being over again! I need this! 23. Carseat Strap – GENIUS! 27. 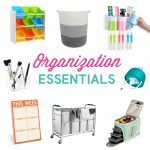 Car Seat Back Organizer – My car could totally use this! 31. 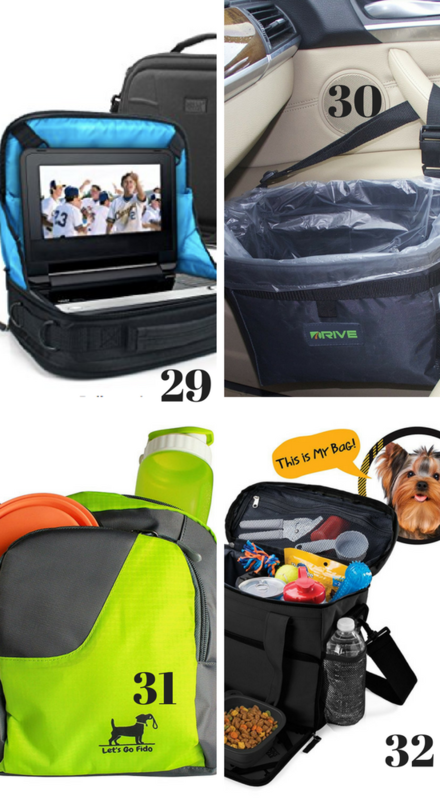 Travel Bag for Pet Accessories – Can’t forget about our fur babies! Isn’t that luggage scale genius? Never be shuffling around at the check-in counter again! 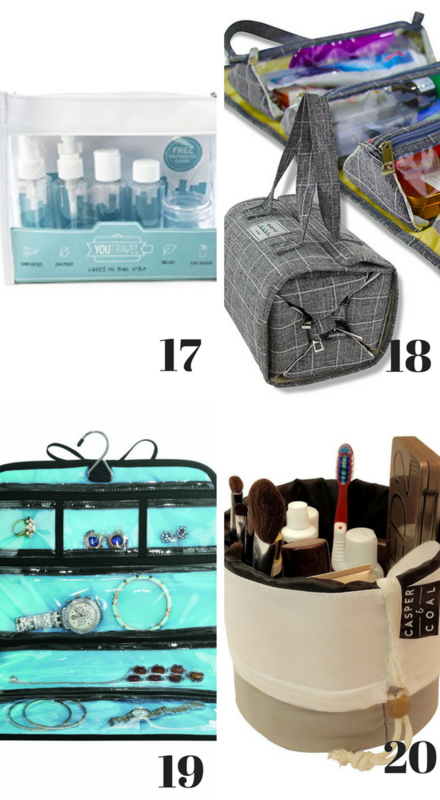 And the packing hacks like those packing cubes? 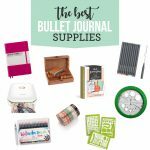 I need those ASAP to keep everything organized! All this travel talk is making me crave a vacation. Looks like it’s time to put these travel accessories to use! Happy Traveling! 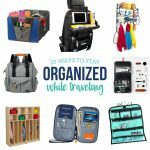 We also rounded up 20 ways to stay organized for travel as well as 50 ways to organize your life, so make sure to check those out! I need alllll the things. EXACTLY how I feel. All the things please. 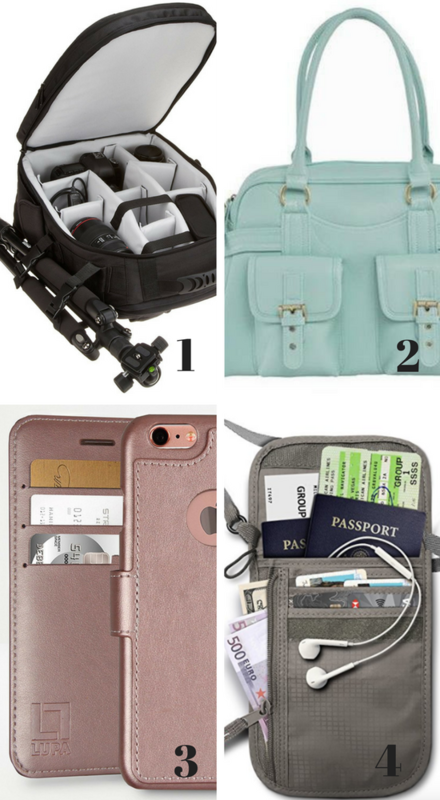 Such a great round-up of travel accessories! I found some stuff I definitely NEED! Thanks, and me too! 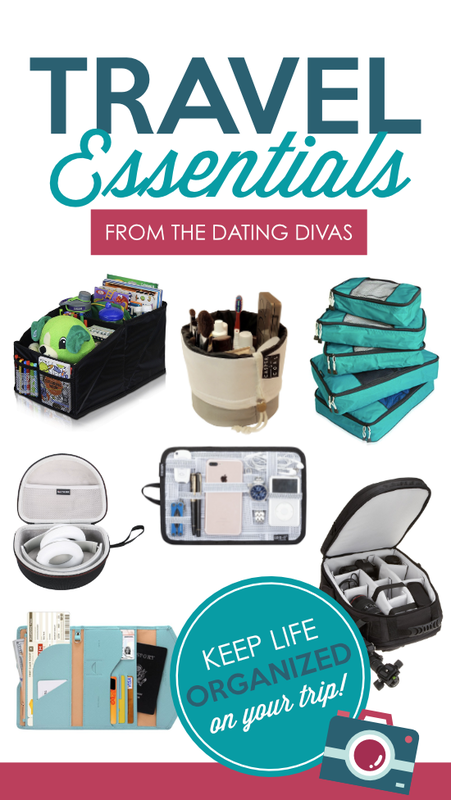 We have a trip in 2 weeks and I am so excited to use some of these things! I have #2 and I looooooove it! 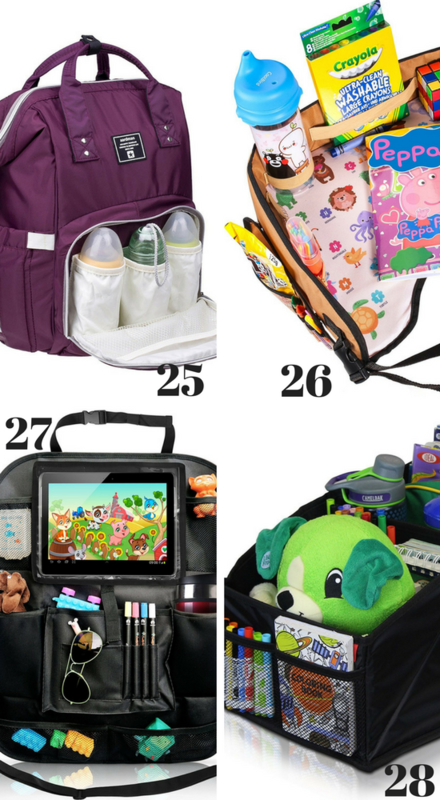 And those packing cubes look awesome- I might have to get some of those for our next family trip. Oh awesome! And yes, I can’t wait to try the packing cubes. 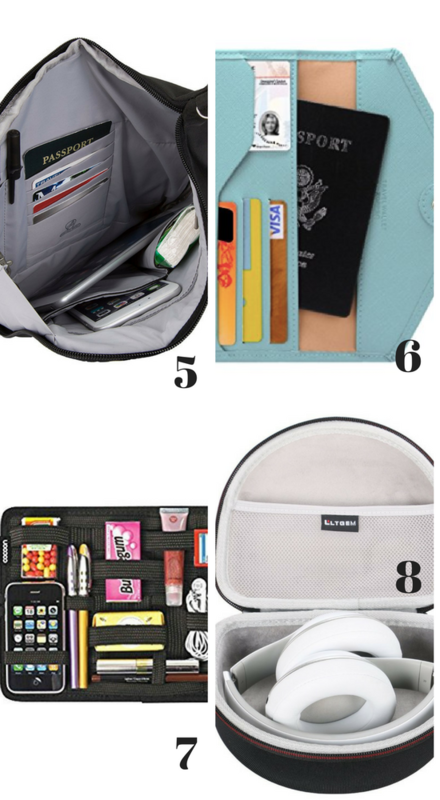 I feel like they’d make travel with kids so much more organized! Holy Preparedness Batman! This is THE list!! Thank you!! HAHA! I love it and right?! It has got it all!!! This is the jackpot list!! 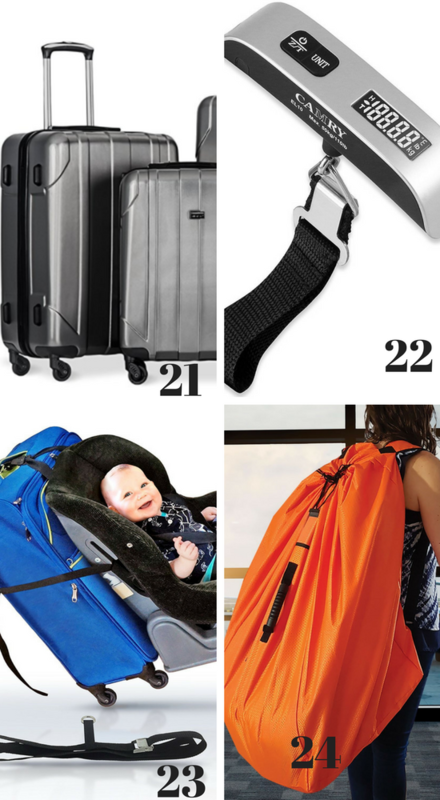 So many good products for traveling. Glad you like it! I agree there are too many good things!